You know those Saturday mornings when you just need to stay in your pajamas well into the afternoon and treat yourself? Or the one when you’re hosting a get-together and you really want want to serve something fancy, but not fussy? 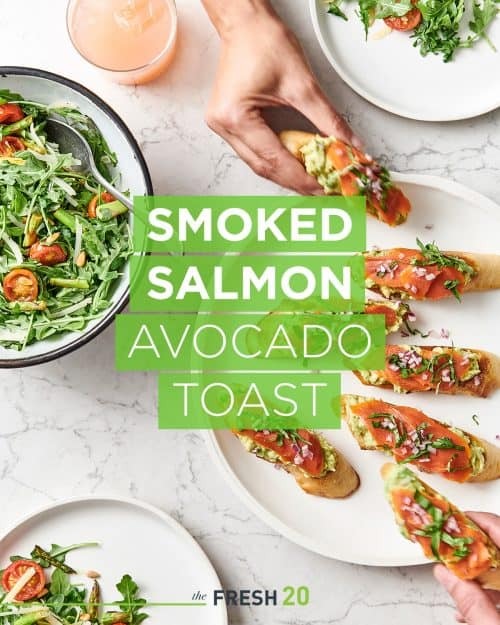 Smoked Salmon Avocado toast is that simple yet luxurious dish that feels like a menu-item at your favorite brunch spot. On top of that, it’s versatile and works for breakfast, lunch or even a canape for a spring patio party. And it’s gorgeous. 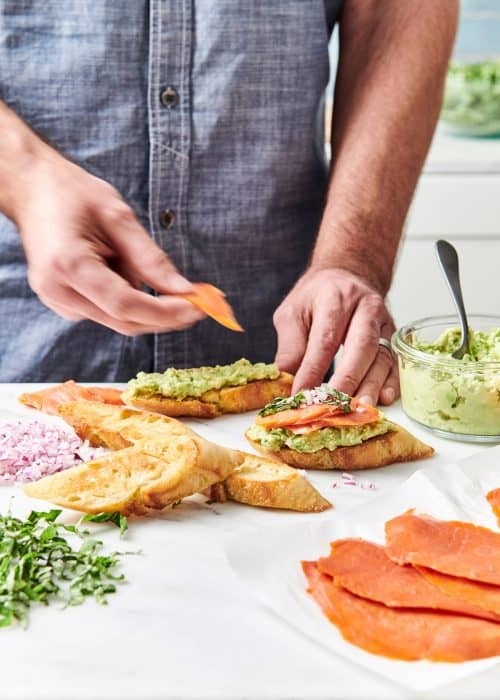 This crispy baguette topped with creamy avocado, melt-in-your-mouth salmon, fresh onion and basil comes together in 5 minutes tops. 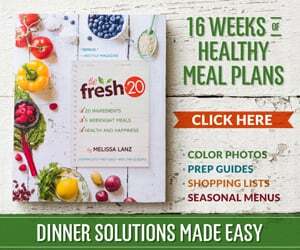 I pair it with a peppery arugula salad tossed with roasted asparagus and cherry tomatoes that add a divine sweet and buttery flavor. Avocado toast has become one of my favorite quick meals — and even a favorite in general. The key is to start with a bread that toasts into crusty perfection, which is why whole wheat baguette is my go-to. And what takes it over the top is mashing the avocado separately, versus slicing it. I know that seems like such a simple step but the creamy, smooth, spreadable texture against the delicate salmon and crunch of the toast and onions is sublime. Crispy baguette toast topped with creamy avocado, melt-in-your-mouth salmon, fresh onion and basil paired with a peppery arugula salad tossed with roasted asparagus and cherry tomatoes. Mash avocado with lemon, salt and pepper. Spread avocado mixture on toasted baguette slices. Top with red onions and sprinkle of basil. Toss asparagus and tomatoes with oil, salt and pepper and put on baking sheet. Cook about 10 minutes. Cool. Toss with arugula, nuts, cheese and dressing.